The ARA URL has changed. There is not much change in the process of accessing ARA except the URL itself. You can switch between the new and the old UI once you login. The sales diagnostics report now provides a summary and overview of some of the key KPIs. The Detailed View provides flexibility of adding metrics, and also changing the view based on 3 key dimensions. ASIN, Category and Sub-Category. This provides the users more flexibility on how they can slice and dice data. The filters now available provide a granular way to view and download data. Within the download, users have the option of viewing summary and details data. The reports can be downloaded either in an excel workbook or CSV file format. Another good view within the new UI is the Metric Locator. This provides an overview of all the metrics available within a particular report. 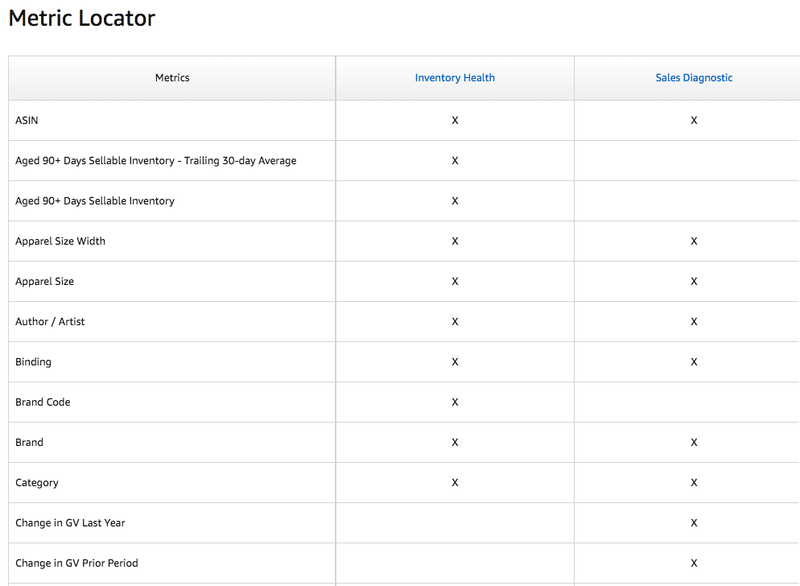 Similar to sales diagnostics, the Inventory Health reports provide both, summary and detailed views. This report also supports all the filters supported by the Sales Diagnostics report which allows users to get a better look at granular-level data. Wouldn’t it be nice to know how many of your products are going to be needed to keep up with the demand? The new P-level indicator feature exactly aims at that. It provides its vendors a confidence level on how much stock to carry so that their customers never see a “Out of Stock” message. This is a good indicator to review frequently, so the inventory can be managed better. We would love to hear your thoughts on the new UI and the move towards the consolidation of ARA basic and ARA premium from a UI and consistency aspect. Can we automate the data export to S3? This way we can analyse this data using many other intelligent tools and analytics engines and even can put our own ML engine.